Hampering repair can help to drive sales. But this comes at the expense of people and the planet, according to a coalition of NGOs led by the European Environmental Bureau (EEB) and ECOS. The EEB is Europe’s largest network of environmental organisations with around 150 members in over 30 countries. 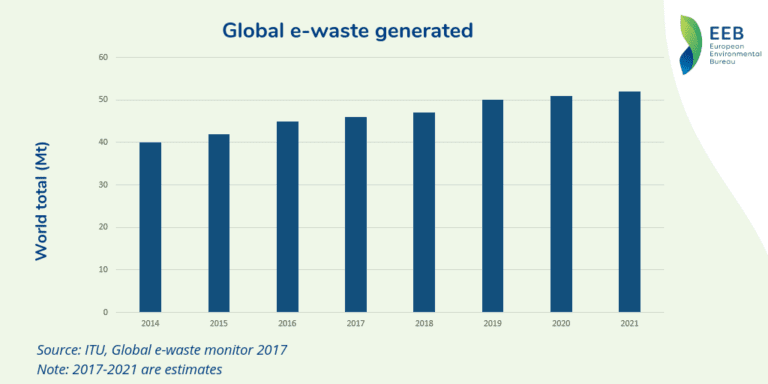 The United Nations have warned of a major threat to the planet and human health linked to e-waste. Recently, flame retardants have been found in children’s toys and consumer goods made from recycled plastics. The provisions granting access to repair and maintenance information to independent repairers have now been restricted to professional repairers only. This will restrict the access of repair cafés or independent repair shops to the information, limiting the scope and availability of repair services. We pay the price for each unrepairable product that’s put on the market. However, some of them were already set to oppose ambitious repairability standards, NGOs revealed in September. These include Germany, Italy and the UK, countries in which ongoing petitions have reached hundreds of thousands of signatures. Progressive policy-makers are now trying to take it a step further, to make sure that they also last longer, and are easier to repair and recycle. The European Parliament, alongside consumer and green groups, have strongly supported the integration of resource efficiency requirements in the ecodesign policy.